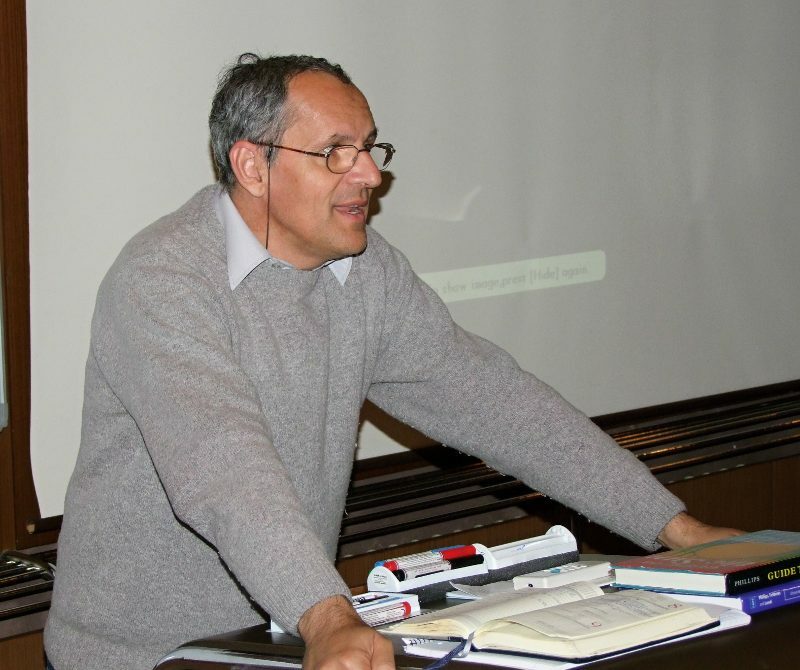 23/5/2010: Information on the lecture course has been posted at the main web page of the Slovak Academy of Sciences in section AKTUALITY/ NEWS. 21/5/2010: Final version of the lecture slides in both PPT and PRF formats are available at the page below. 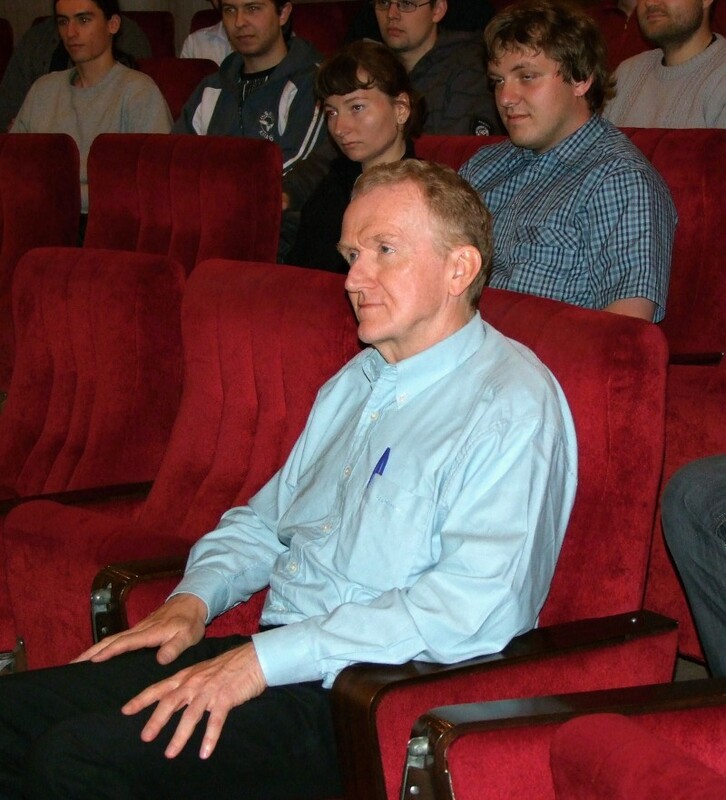 19/5/2010: Some pictures taken by P. Bendik during opening of the lecture course are added to the page. 14/5/2010: Expect the PPT files also the PDF files with slides of lectures are available for easier printing. 10/5/2010: 20 participants registered and accommodation facilities of the AISAS fully occupied. 20/4/2010: New, updated, versions of the subject matter and reading list of the course are posted at the web page (HTML, DOC, PDF files). 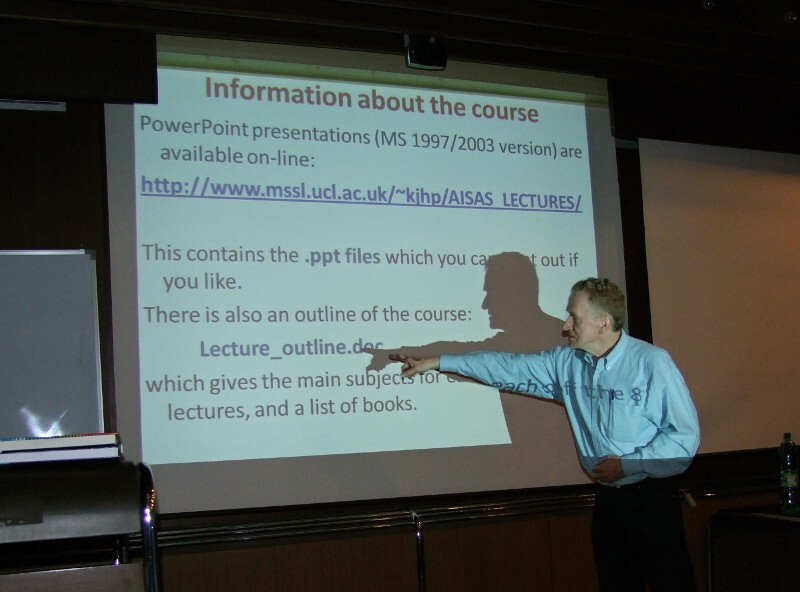 The PPT/PDF files of the presentations, prepared for the lectures by prof. Phillips, are available as well on line for the students. 13/4/2010: Final information on prices of accommodation and food as well as on accommodation provided to the selected participants is released. 13/4/2010: Already 20 participants registered and accommodation facilities of the AISAS almost fully occupied. 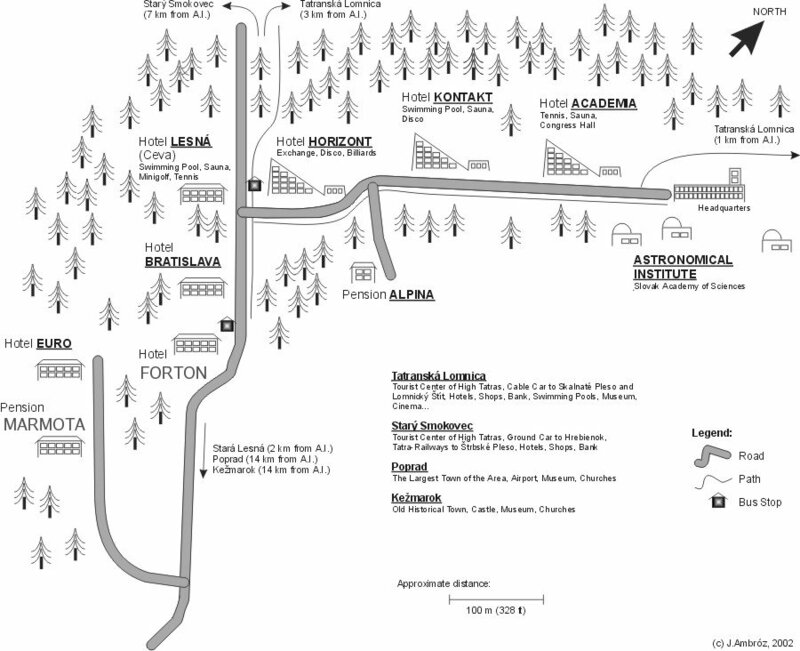 26/1/2010: Information on the course was publicly released. 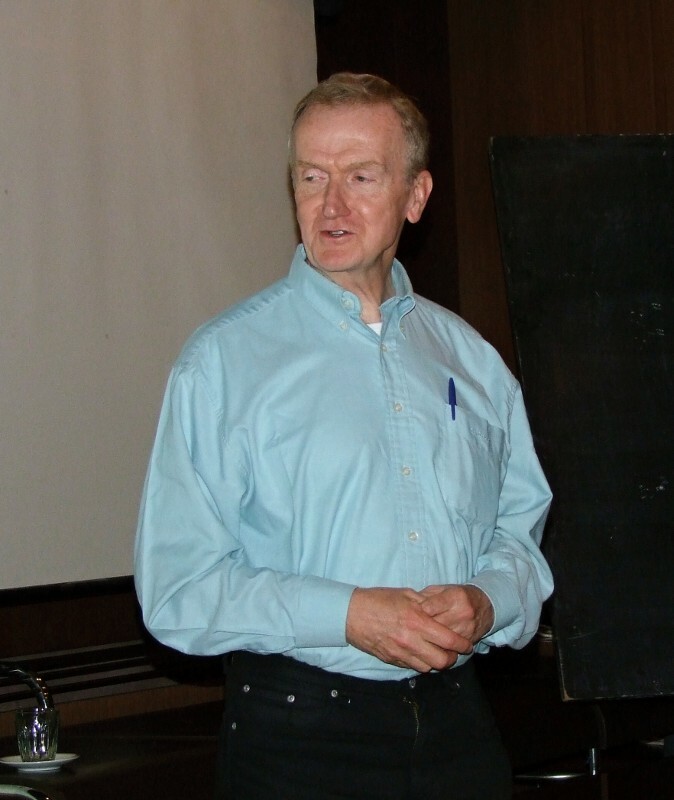 Prof. Kenneth Phillips from the Mullard Space Science Laboratory of the University College London (UK) will give a course of lectures on the topic of the solar and stellar X-ray and UV spectroscopy on May 17-21, 2010 at the Astronomical Institute (AISAS) of the Slovak Academy of Sciences at Tatranska Lomnica (Slovak Republic). The course will be focused on the basics of atomic physics and spectroscopy, spectra of the photosphere and chromosphere and especially of the corona of the Sun as well as other stars including solar-like "flare" stars. There will be lectures on the way spectroscopy can be applied to determine the physical properties (densities, temperatures etc.) of solar coronal plasmas as observed by SOHO, Hinode, and other spacecraft. 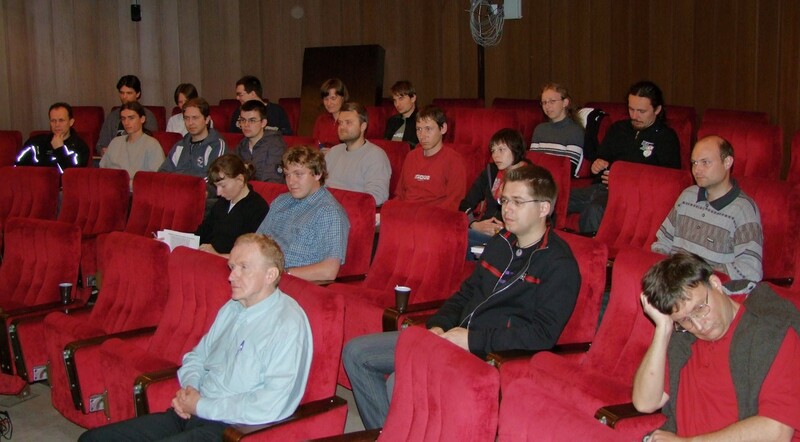 The course is aimed at undergraduates and PhD students from the AISAS at Tatranska Lomnica and from universities in Slovakia where astrophysics courses are offered. Students from other countries are also welcome. SUBJECT MATTER: HTML, DOC, PDF. PPT: LECTURE 1, LECTURE 2, LECTURE 3, LECTURE 4, LECTURE 5, LECTURE 6, LECTURE 7, LECTURE 8. PDF: LECTURE 1, LECTURE 2, LECTURE 3, LECTURE 4, LECTURE 5, LECTURE 6, LECTURE 7, LECTURE 8. READING LIST: HTML, DOC, PDF. Registration to the course is simple, just contact local organizers - Jan Rybak and Julius Koza at their email addresses which are explained at web page of the AISAS. FEE: We are pleased to announce that there is no registration free to the course. ACCOMMODATION: AISAS will provide for the selected participants accommodation in its guestrooms. Price of the accommodation in the rooms Nrs. 201, 202, 203, and 204 will be just 2,66 Euro for the whole period of the course (Sunday-Friday) for one person! These rooms are equipped only by a washbasin with cold/hot water and internet connection. WC and showers are common at the corridors. Price of the accommodation in the room Nr. 6 is 5,97 Euro per person and night. This room is equipped with its own WC and bathroom and internet connection. Accommodation will be paid in cash to the secretary of the AISAS during the course. In case you need accommodation for a longer period than (Sunday-Friday), please let us know. FOOD: It is expected that breakfast will be prepared by the participant themselves. Headquarters of the institute is equipped with a two kitchens with refrigerators and other equipment. Lunch and dinner can be ordered in advance in the nearest hotel ACADEMIA (100m from the headquarters), both for 4.38 Euro per one lunch or dinner. Food will be paid directly to the hotel at the reception according to the previously ordered number of meals. REFRESHMENT: Mineral water and coffee will be available before each lecture for couple of minutes in the entrance hall of the institute. AISAS general info, AISAS more detail info - in Slovak, map of T. Lomnica, map of the AISAS area. 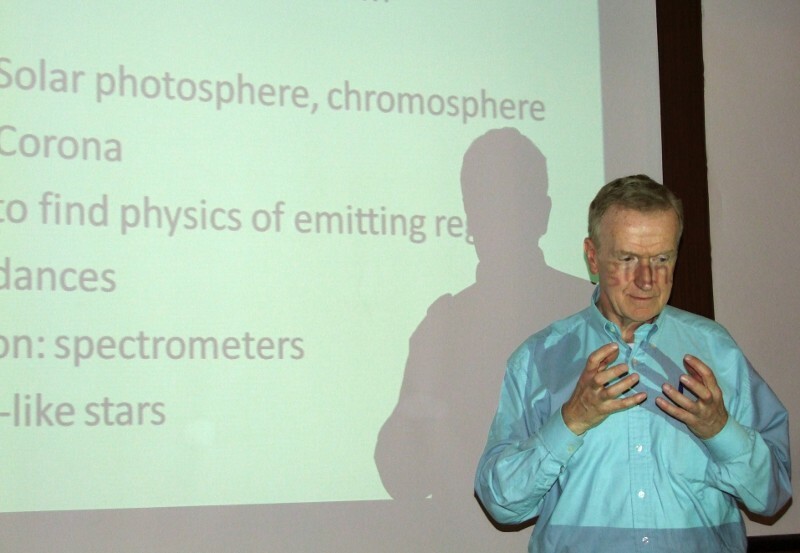 Prof. Ken Phillips starting his introductionary sentences (left) and during opening of his lecture course (right) in the lecture hall of the Astronomical Institute of SAS at Tatranska Lomnica. Prof. Ken Phillips during his first lecture. Students taking part at the course during its opening. 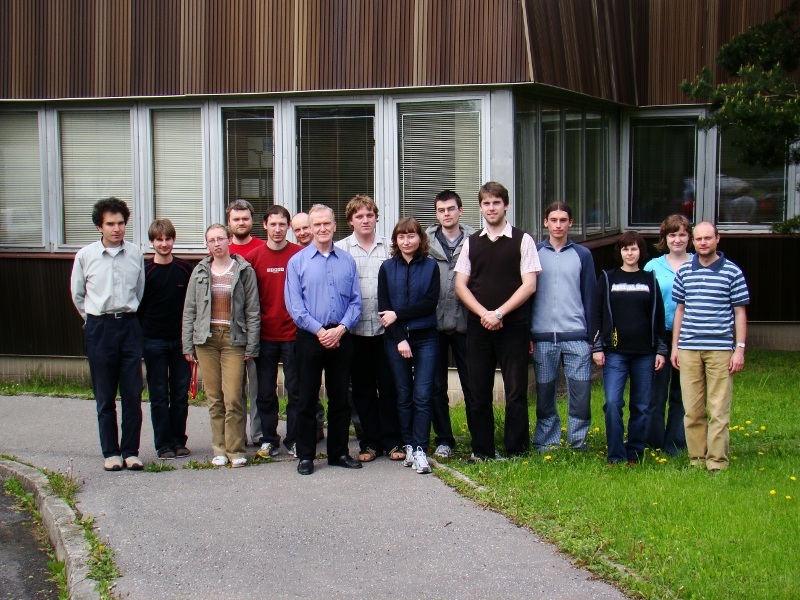 Professor anf his students in front of the AISAS headquarters. 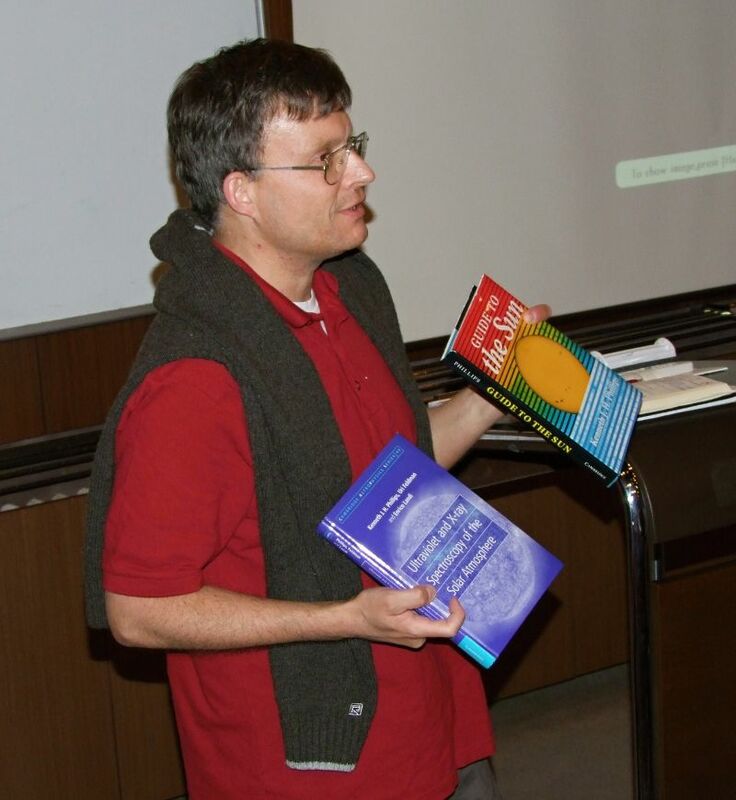 Dr. A. Kucera - director of the AISAS during his opening speech and organizer of the course - Dr. J. Rybak introducing prof. Ken Phillips to the students displaying two his books on solar and stellar astrophysics. Jan Rybak (AISAS), Julius Koza (AISAS), Marcela Bodnarova (AISAS), Zuzana Carikova, and Matej Sekeras.